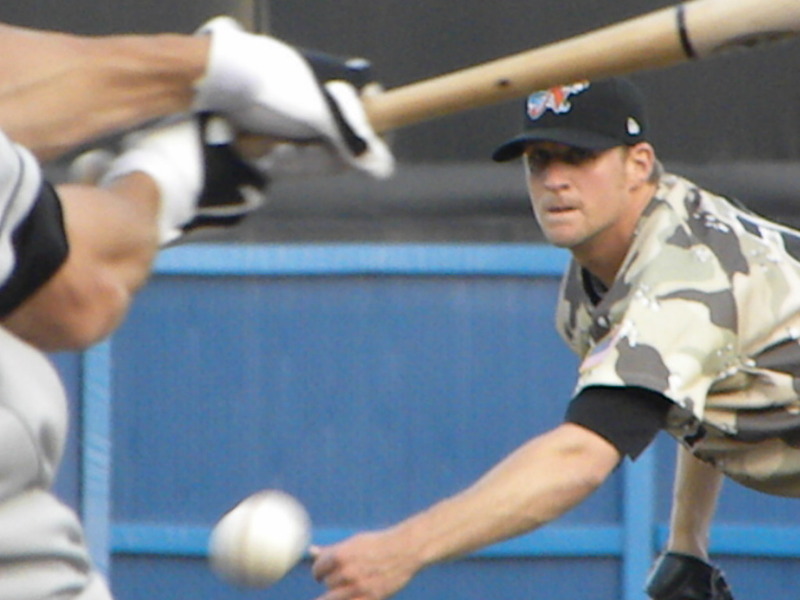 The Norfolk Tides lost their 5th straight falling to the Buffalo Bisons in a Sunday afternoon slugfest in which for the third time in three games they collected what should have been enough hits and runs to win. 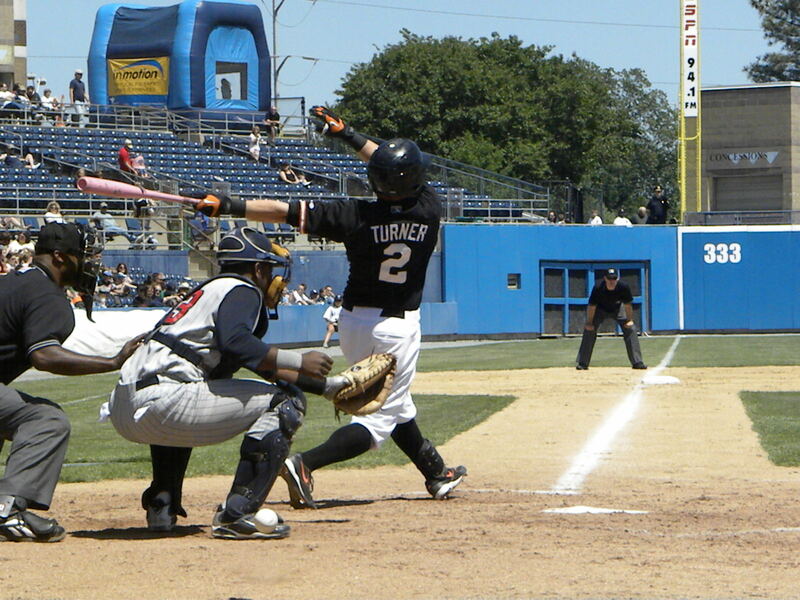 In fact today of the 8 runs scored by the Bisons 3 were unearned coming as the result of poor fielding and throwing by Tides infielders in particular a top of the 8th inning error where shortstop Robert Andino ran past what would have been an easy double play ball off the bat of former Norfolk Tides infielder Justin Turner that scored two runs at a point that the Tides were ahead in the game. The runs gave the Bisons a lead that they would not relinquish and seal the fate of the Tides on this blistering hot Sunday afternoon. 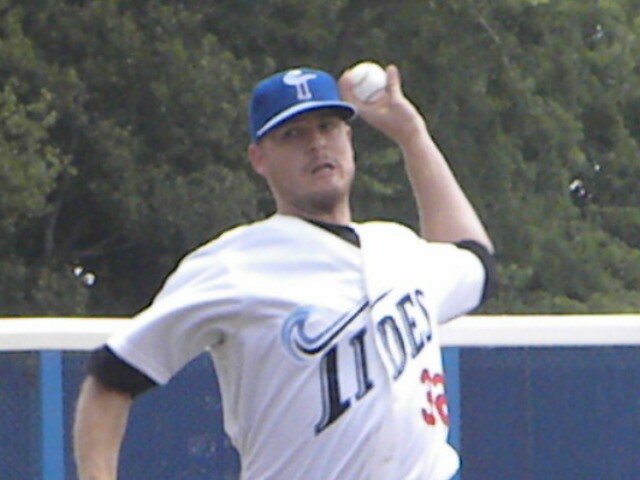 Tides starting pitcher Chris George gave up 5 runs, 4 of which were earned in 5.2 innings work and Zack Clark so new to the team from AA Bowie that he went out in a jersey without his name affixed to it gave up 3 runs in 2.1 innings of which only 1 was an earned run. 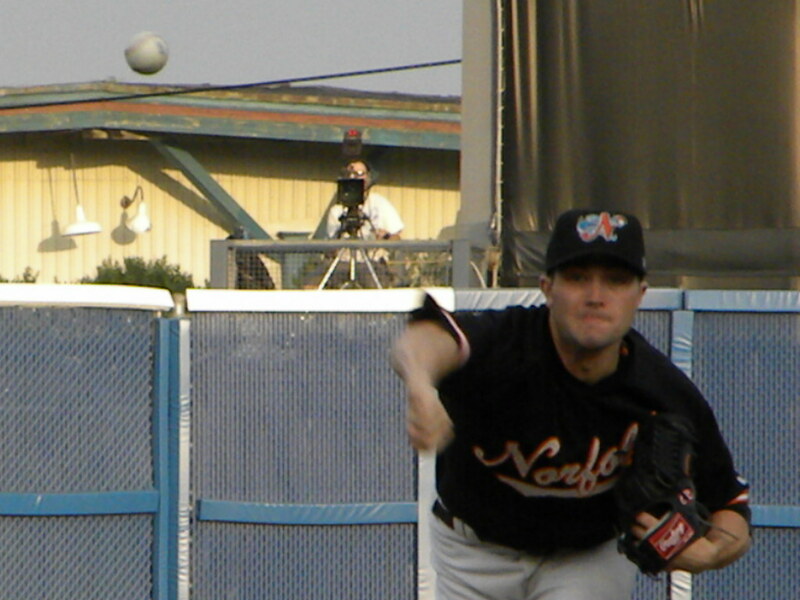 Ross Wolf pitched the 9th inning coming in with two on and two out. He got J R House out while trying to bunt and made an excellent play to field the ball and throw out Valentino Pascucci at third. 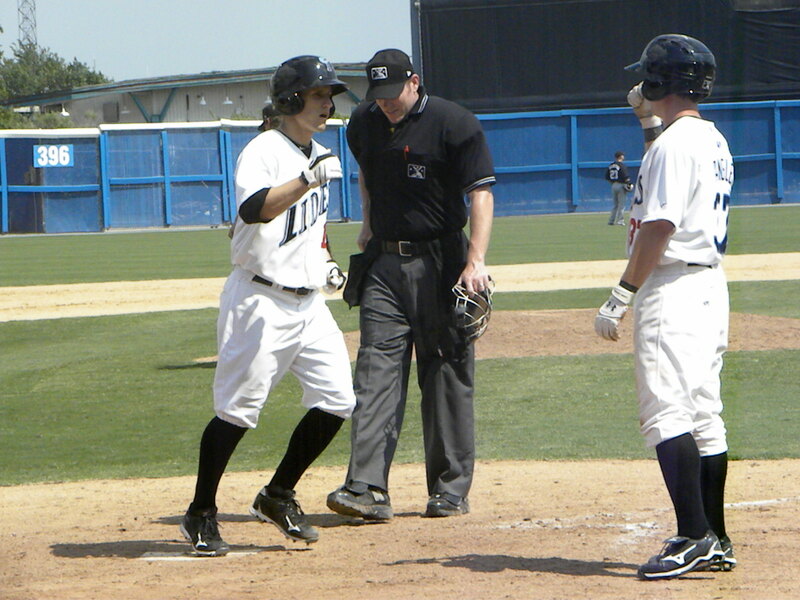 He then got Jesus Feliciano to ground into a double play to end the inning. The big damage to the Tides came from the extremely potent Buffalo offense. For once the Bisons’ parent organization the New York Mets has invested in putting experienced and potent offensive force together despite a dearth of young prospects. The Bisons pack a huge offensive punch including Mike Hessman the all-time Minor League home run king but the Chief Tides basher has been Mike Jacobs who has beaten Tides pitching about in a rude and nearly ruthless manner over the past two days as well as former Tides catcher J R House who today had a home run, double plating 3 of the Bisons runs. However if there is a silver lining in the past three games it is for the first time this season the Tides seem to be hitting the ball consistently using both contact and power to make things happen. The Tides picked up their first run in the bottom of the 2nd inning one singles by Rhyne Hughes, Brandon Snyder and Michel Hernandez. The Bisons collected two in the top of the 3rd inning when Andy Green reached on an error J R House doubled and Jesus Feliciano singled to drive in both Green and House. The Tides tied the score in the bottom of the 4th as Rhyne Hughes and Brandon Snyder singled and Michel Hernandez sacrificed to right field to score Hughes. Buffalo then scored 3 runs in the top frame of the 6th driving Tides starter Chris George out of the game and it was as the sage Earl Weaver mentioned, the part about the three run home runs as J R House clubbed a three run homer off of George with one out. 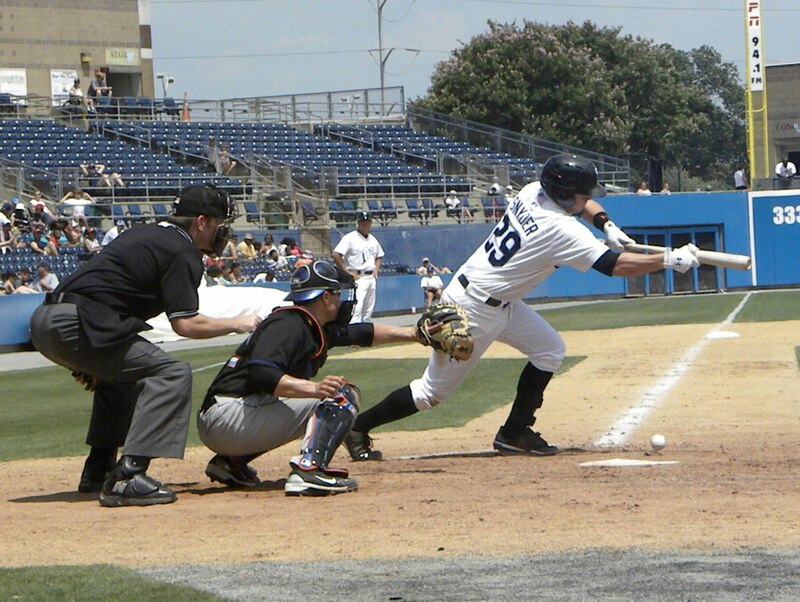 However the Tides did not roll over and die as they had in so many games earlier in the season and in the bottom of the 7th the now scrappy Tides offense plated 4 runs. Michel Hernandez, Blake Davis and Matt Angle singled to load the bases. Robert Andino then hit into a double play but Hernandez scored. Jeff Salazar then hit a 2 run home run off of Pat Misch to tie the game. Nolan Reimold and Rhyne Hughes singled and Brandon Snyder singled to drive in Reimold before Blake Davis grounded out to end the inning. In the top of the 8th the Bisons took the lead when Robert Andino missed what looked to be an easy grounder that easily could have been a double play, the ball rolled into short left field and two runs scored and the Bisons were back in the lead and add an insurance run in the 9th to make the final score 8-6. The Bisons scored 8 runs on 11 hits with 1 error and 11 men left on base. 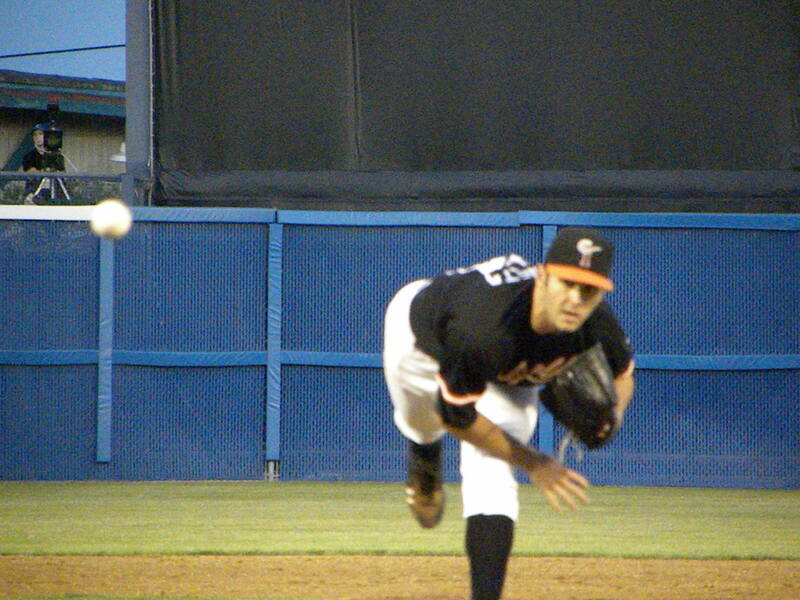 The Tides 6 runs on 15 hits and 4 errors leaving 8 on base including 5 left in scoring position with 2 outs. While the Tides offense has come alive the pitching has been weak and they were not helped by four errors which allowed three unearned runs. In spite of this the Tides are showing signs of life under Interim Manager Bobby Dickerson who took on an umpiring crew that made three obviously bad calls that cost the Tides runs the most egregious being a hit by J R House in the top of the 2nd which should have been a foul ball that was ruled fair and went for a double, a force at second in the top of the 8th which the 2nd base umpire ruled that second baseman Blake Davis who was plowed over at second had been pulled off the bag. Later in the 8th Mike Hessman was ruled hit by a pitch which had all the marking of a ball that hit the bat before striking him. 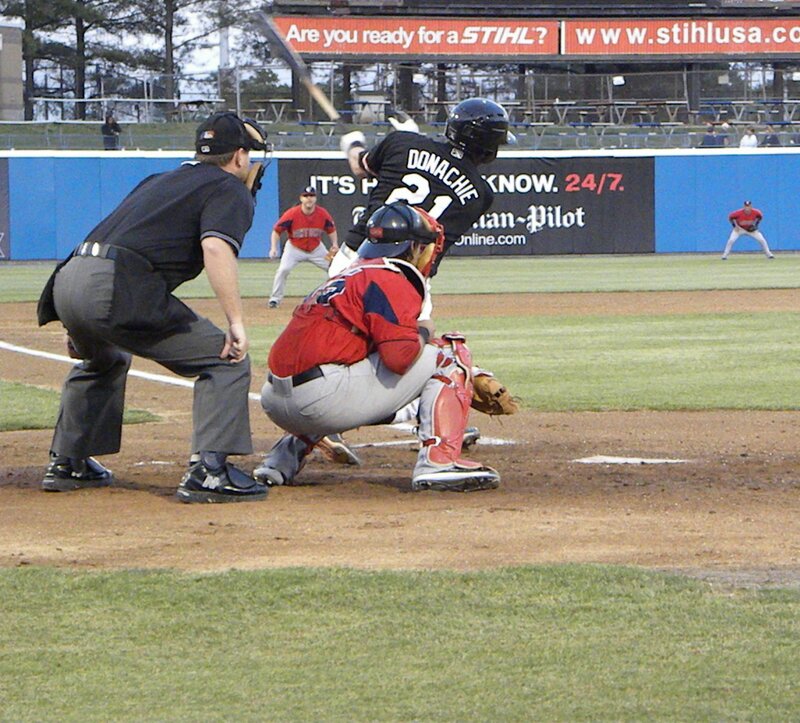 The last call got Dickerson tossed by Home Plate Umpire Chris Conroy. Dickerson does not just manage but he leads and appears to inspire. Players that have not been performing have been benched and for the first time in recent memory the Tides took infield practice on a game day. What appears to be the new mantra in the Orioles organization is accountability and chemistry. Things are not better yet but if I were the Orioles I would make Dickerson the permanent manager of the Tides tomorrow. It takes time to get the pitching right and I do not see a quick fix to that with the probability that Arietta will be in Baltimore possibly within the week, however it appears that he is bringing some discipline and order back to a team that has a lot of talent but not achieved the success that it is capable of accomplishing. 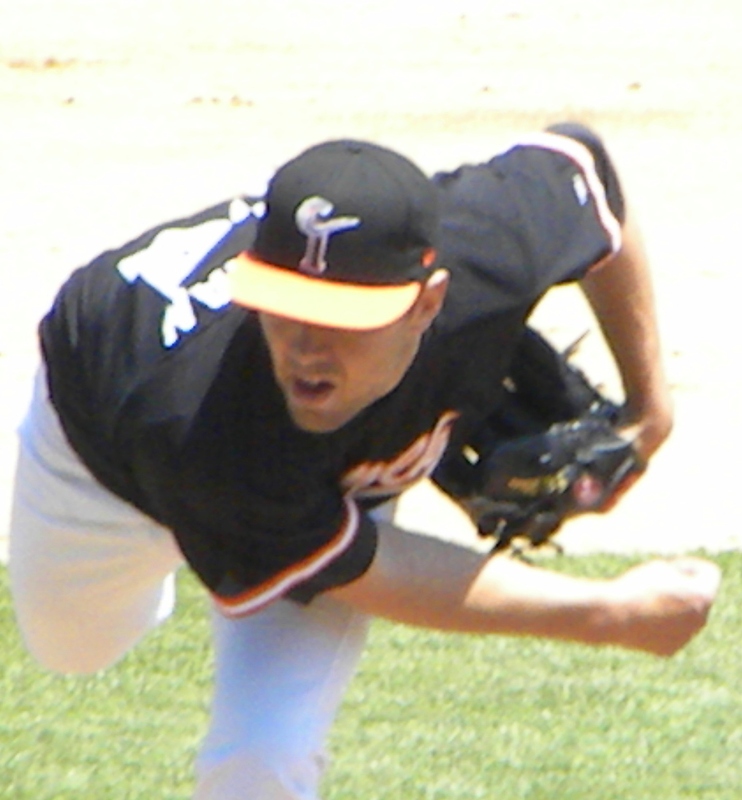 It will be interesting to see what happens in the coming days and weeks as Andy McPhail and the Orioles begin to make the hard choices regarding players and ultimately who will remain in Baltimore and on the 40 man roster. The Orioles defeated the Red Sox today at Camden Yards 4-3 in 11 innings with David Hernandez getting his first win of the season in relief. The final game of the season series between the Bisons and Tides will be on Monday at 12:15 as Troy Patton (3-7, 5.73 ERA) will take the hill for the Tides against former Tide Bobby Livingston (2-5, 4.18 ERA). 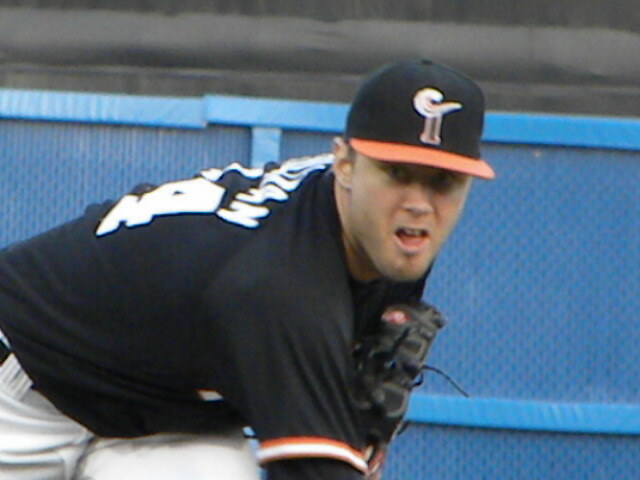 Troy Patton showed what he is made of last night in Pawtucket and why he is on the Baltimore Orioles 40 man roster. After a catastrophic outing last week where he was bombarded for 8 runs and 13 hits Patton (3-6 5.70) came back and showed tremendous poise, confidence and control and pitched a beauty. Troy faced 23 batters in 7 innings of shutout work allowing just three hits and no walks striking out 4 Pawtucket batters. Patton showed great pitching economy and control using just 86 pitches to shut down the Sox. It was by far Troy’s best outing of the year and should allay fears that without Chris Tillman who was called up this morning that the Tides rotation could be in for trouble. If Troy continues like this he will become one of the leaders of this young and talented staff and put himself in contention for a spot on the Orioles roster. I say this because it takes a lot of guts for any pitcher to leave behind an outing like last week and focus on the game at hand. Many pitchers lose their edge and confidence but instead of that it looks like Patton has resurrected his season in this fine effort. 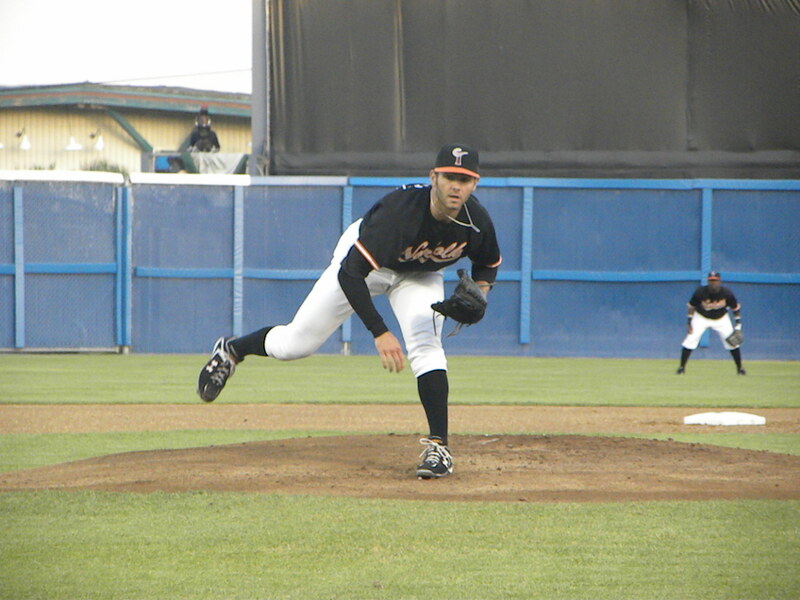 Reliever Denis Sarfate (0-0 S@ 1.32) also shined in two innings of solid relief work. Sarfate pitched to 7 batters allowing just one hit and no walks while striking out three to complete the shutout of the Pawsox and get the save. It is the first time and I believe it is the first time this season that Tides Pitchers have not walked a batter, even Chris Tillman in his no-hitter gave up one walk. Tides hitters scattered 11 hits and cobbled enough of them together to score three runs which was more than enough to put away the Pawsox. 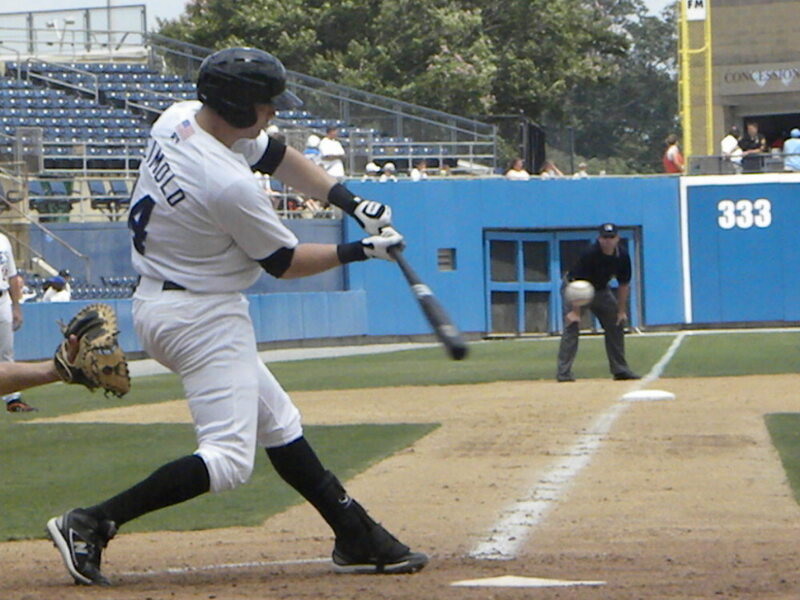 The first run came in the 2nd inning on a series of singles which began with Josh Bell singling to center, Nolan Reimold hitting one to left and Brandon Snyder doing the same. With the bases loaded and no outs Paco Figueroa singled to left to drive in Bell for the early lead. In the top frame of the 6th inning Brandon Snyder singled and came home on Paco Figueroa’s first double since coming to the Tides last week. 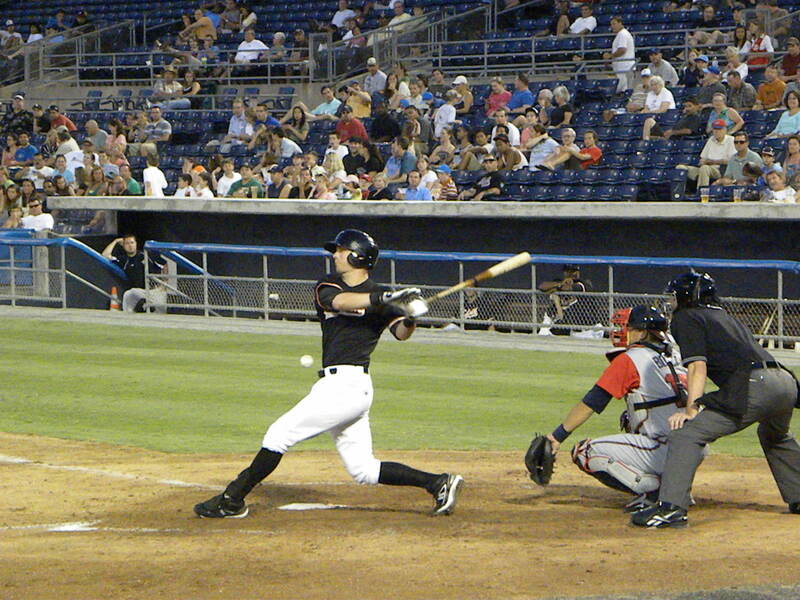 The Tides got their final run of the night on Jeff Salazar’s 7th home run of the year. For the Tides they had 3 runs on 11 hits with 2 errors while stranding 8 and Pawtucket no runs on 4 hits and 1 error with 3 men left on base. 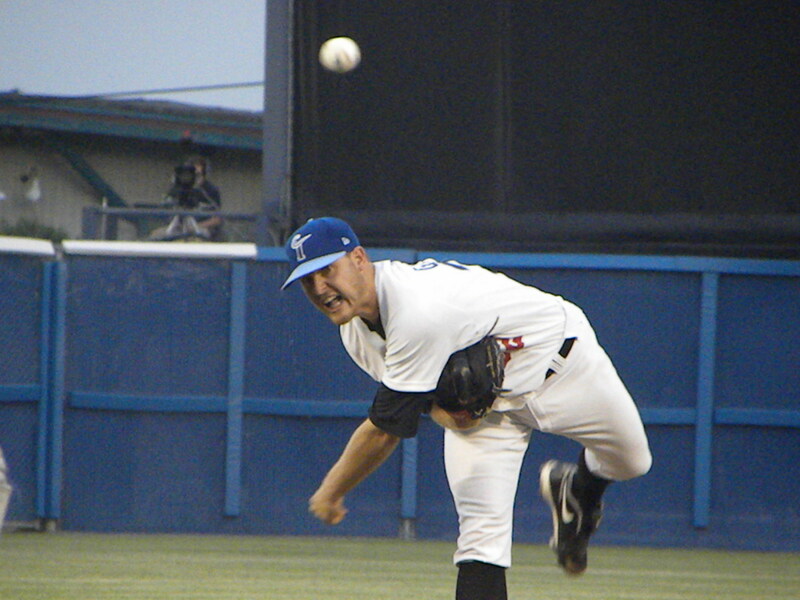 The winning pitcher was Troy Patton who notched his third victory of the season while Denis Sarfate got the save. 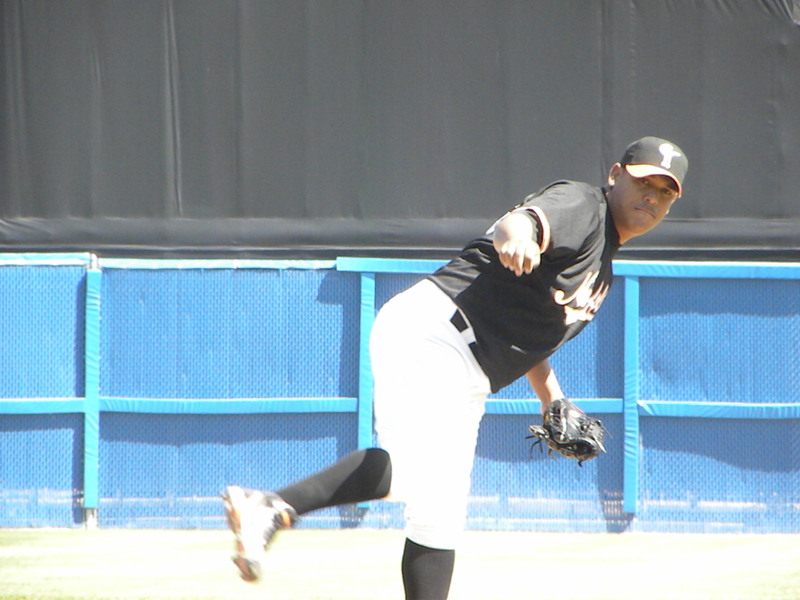 The losing pitcher was Felix Doubront (0-1 1.50). Tonight the teams play again in Pawtucket with Brandon Erbe (0-8 6.80) still seeking his first win of the campaign up for the Tides and Adam Mills (1-3 4.15) on the hill for the Pawtucket. One the personnel side of the house the Orioles moved David Hernandez to a relief role and recalled Chris Tillman as expected from Norfolk. 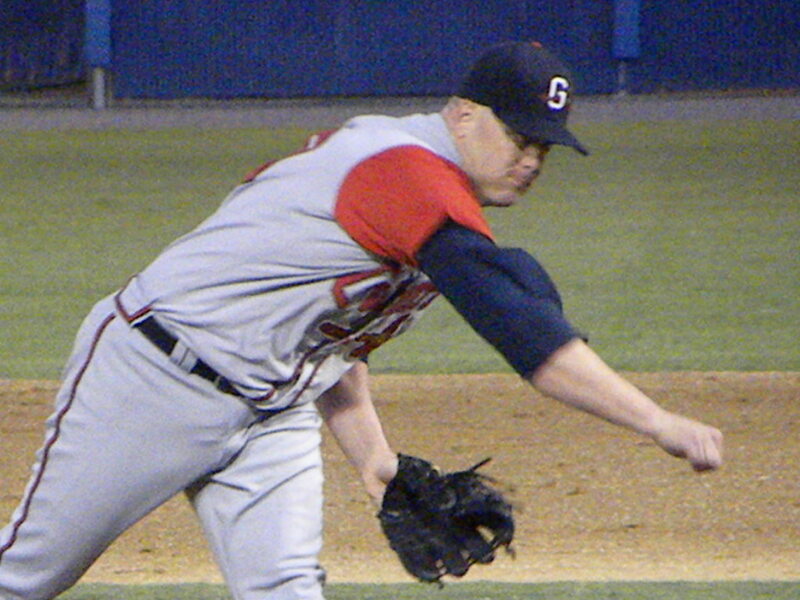 They also recalled Jim Johnson to the team from the Tides. Up in Toronto the Orioles were blanked by the Blue Jays by a score of 5-0 in a game where everything went wrong for the O’s. With a the worst record in the Major Leagues (15-34) one has to wonder if Manager Dave Tremblay will survive the weekend. The team has far too much talent despite the injuries that it has had to be doing this badly in a year that they expected to return to respectability.